The Hungry Diner - Are You Hungry? 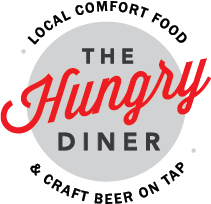 The Hungry Diner is the sister business to Walpole Valley Farms, just 5 miles away. WVF is dedicated to local, non-gmo, grass-based sustainable agriculture. We are committed to local food. All the beef, pork, chicken, turkey & eggs used are from Walpole Valley Farms. We also buy from many other local farms.